The sound I get when receiving a new text message is the camel from that Geico commercial yelling "Hump Day!" Sure, I could find a less obnoxious notification sound, but it makes me laugh every time, and that's important. However, it may not make my friends or coworkers laugh, and is probably downright annoying to everyone when it goes off in class or a movie theater. To avoid those awkward situations, I now use Persist (Volume Control) by Netroken. This app (free on Google Play) lets me create preset volume settings and control all of my Samsung Galaxy S3's different sounds from one place. It has an appealing interface and is super easy to set up and use. Once installed, you can begin adjusting your preferences. There are a few standard presets to choose from; Appointment, Default, Night, and Silent. 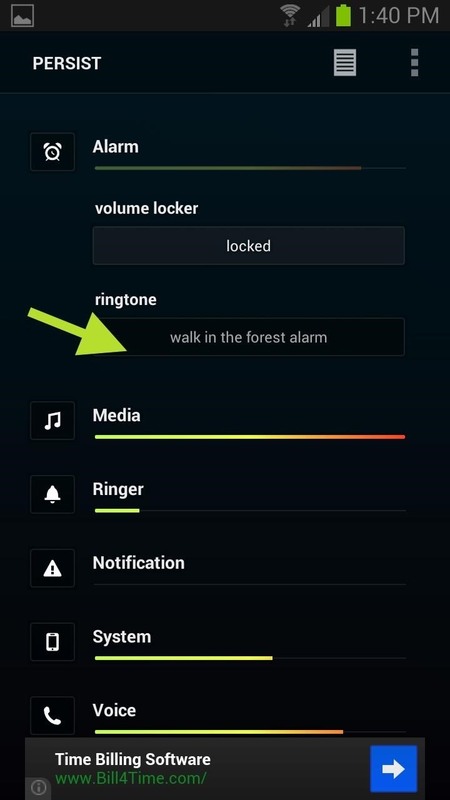 By tapping on each option you can adjust your phone sounds individually, whether it's the alarm, media (music, video, etc. 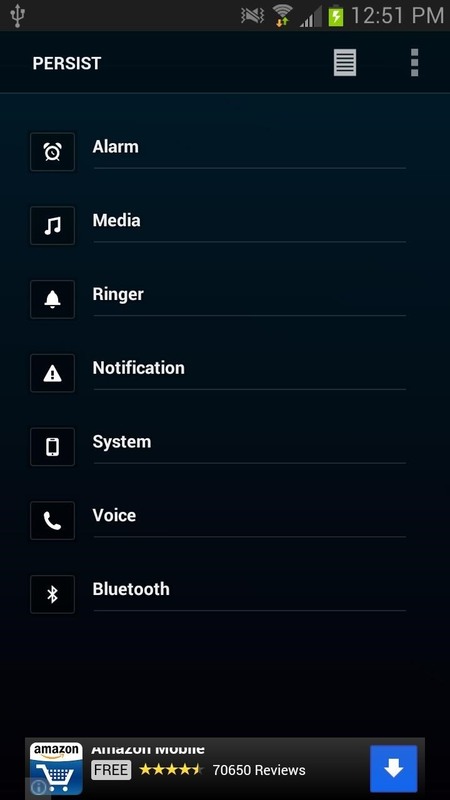 ), ringer, notification, system, voice, Bluetooth, etc. To increase or decrease the volume, you can tap or tap and drag the slider to your desired output. By clicking on the icon for a given item, you can change the ringtone right from Persist. 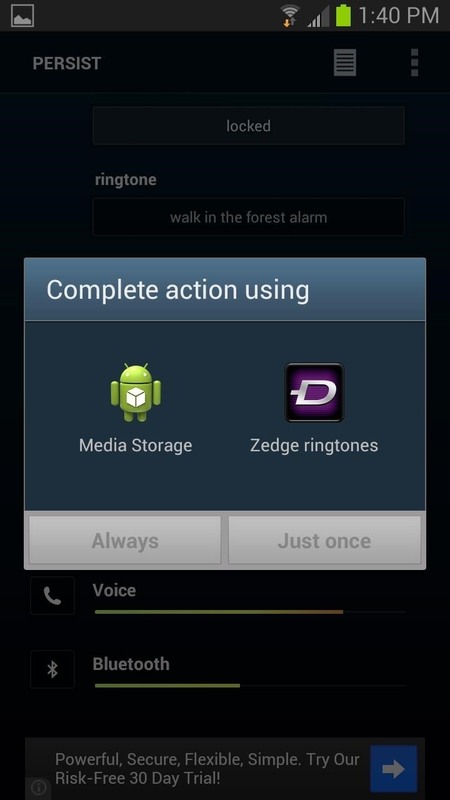 Just click on the current title and you can choose where to pick the new ringtone from if you have more than stock media on your GS3. 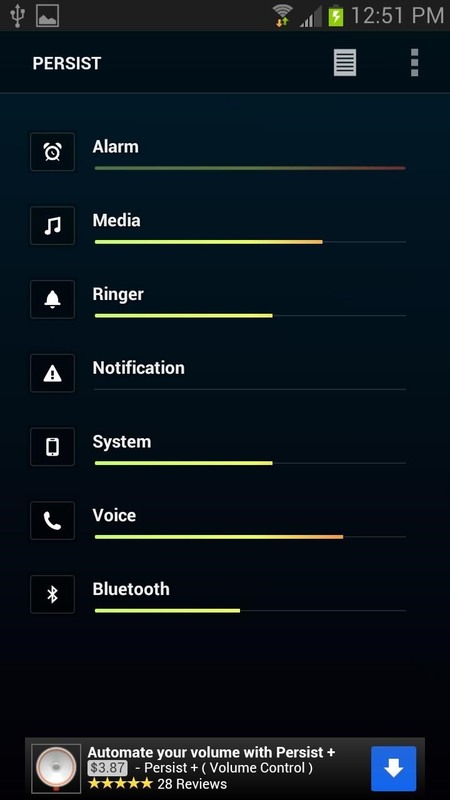 You can also change the settings from vibrate, normal, and silent. You can also create your own presets by hitting the plus icon located on the main menu screen. You can then name your new preset option and adjust the sliders accordingly. 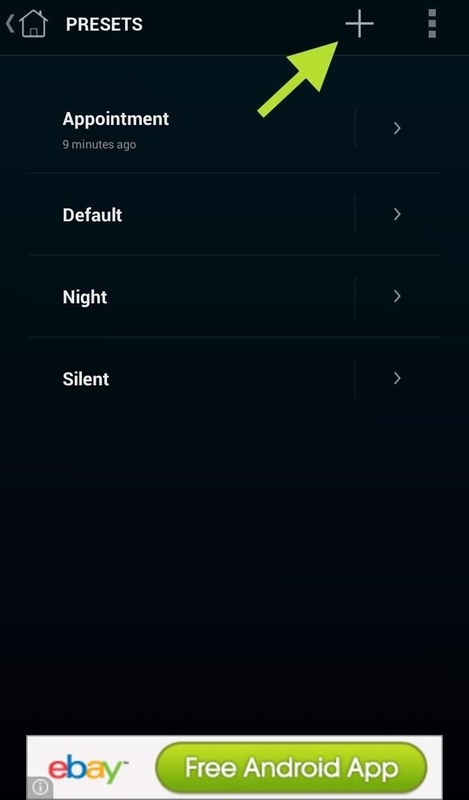 By tapping the menu button while inside Persist, you can find the general Settings. 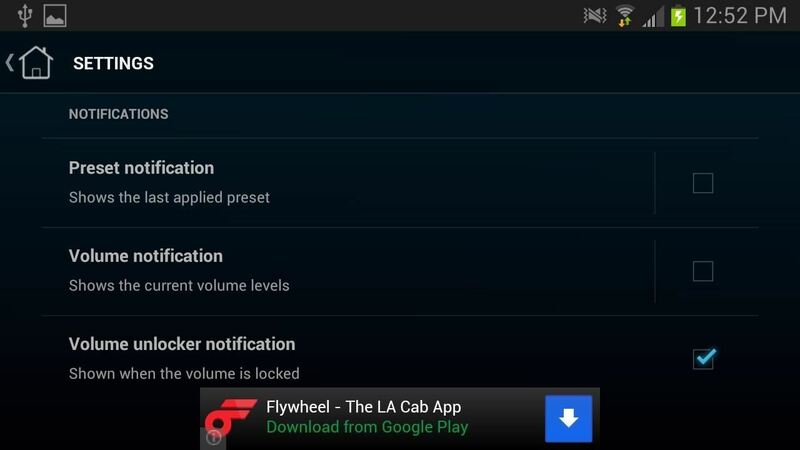 Here you can find notification settings for the app and other volume settings. There is also a pro version, Persist +, which currently costs $3.87 and comes with some extra features not available on the free version. 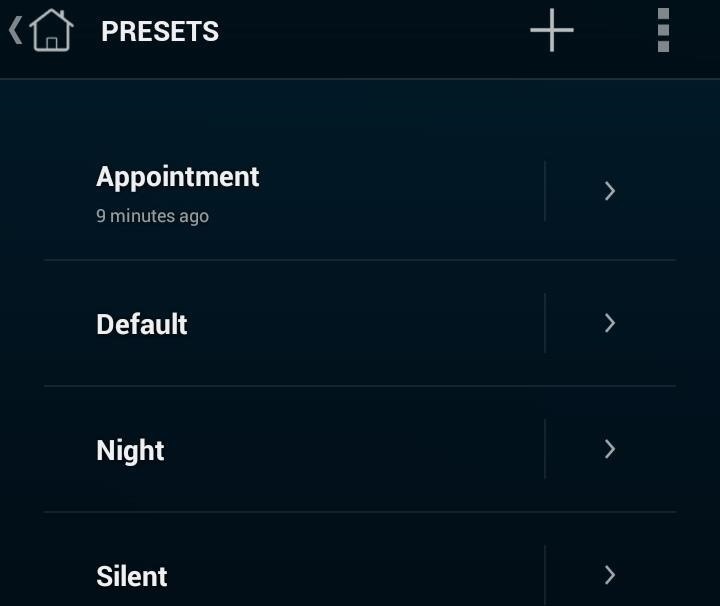 With Persist +, your preset volume controls can be scheduled on a weekly, daily, or hourly basis. 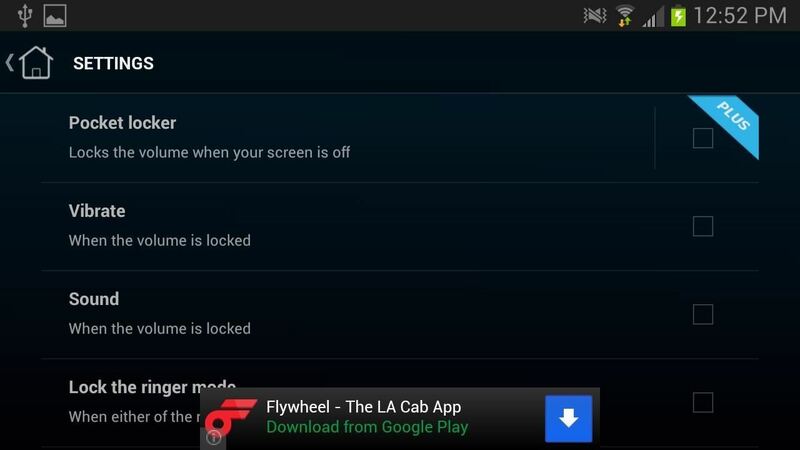 Pocket locker and volume locker controls are also included in the Plus version. When enabled, Persist locks the current settings so that they cannot be accidentally changed while the screen is off or in your pocket. The settings also can be set by GPS location or events. If you schedule a meeting, Persist will automatically silence your phone or can be setup to turn on all ringers when you reach home. Also, the banner ads are removed. 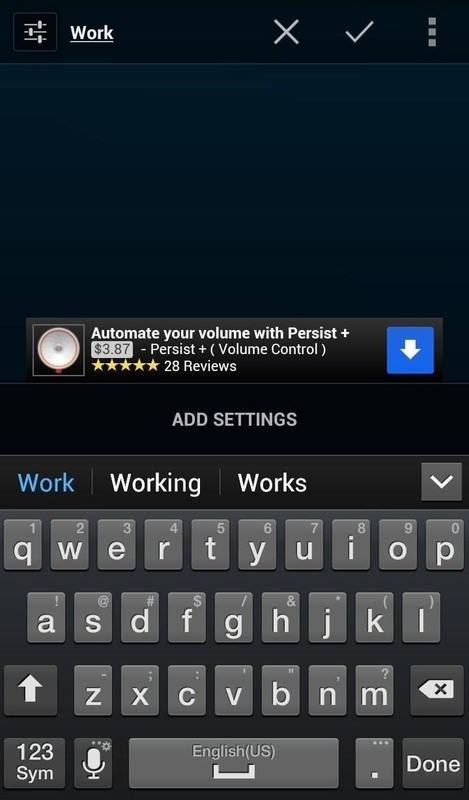 The free version of Persist is still a very useful application to gain greater control of the volume settings on your GS3 or other Android device. Have you tried out? Let us know what you think.